Chula Vista Cash For Cars - Sell Your Car Fast. Putting your car up for sale can be a costly and frustrating process. Chula Vista Cash For Cars Co. can help eliminate the need for strangers visiting your home and conducting uninsured drive tests. We provide a simple and fast means of selling your car for your peace of mind. When you deal with us directly, you do not have to worry about bouncing checks and people constantly knocking on your door trying to exploit your car sale offer. Chula Vista Cash For Cars Co. offers a simple, efficient, and fast process for converting your car into cash. Trying to sell your car on your own may take a significant amount of time. We can buy your car within the shortest time possible and in the most convenient manner. If you would like to trade your car through a dealer, using our company will put you in a good position to negotiate a better deal. Our company is a fully licensed and insured auto buyer. 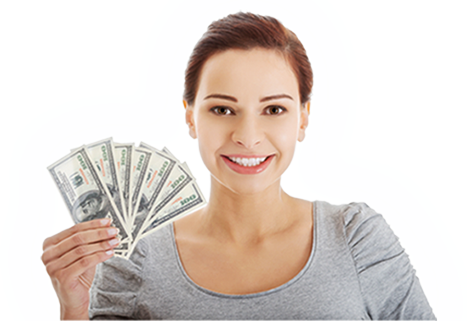 Vehicle owners can trust us to convert their unwanted cars, trucks, vans, and SUVs into cash. We have decent offers for any car despite its condition including old, stalled, and junk cars as well as cars in excellent driving conditions. We have been in the business for more than 20 years and have acquired valuable experience and skills. We will buy your vehicle without any hassle and expedite the car selling process so that you get cash for your vehicle quickly and easily. When you trade your car to us, you incur zero advertising fees. We will make the entire process as hassle free as possible. You can always rely on us to sell your used car, truck, or SUV and give you cash in return. All you have to do is to let us see your car and take it for a test drive. We will buy your car in a location that is convenient for you without charging you anything. You may think that because your car is wrecked, damaged, or old you deserve to get a lower price than what you are asking. Many prospective buyers are aware of this fact and tend to take advantage of your car flaws to reduce your asking price. Our company can help you to avoid this predicament because by making fair offers that do not take advantage of your situation. When you trade your car to us, you do not have to worry about towing or transportation costs. We offer collection services for our customers. All you need to do is to call us and schedule when and where you want us to pick up the car. We will arrive at your requested location on time, finalize the car sale deal, and tow the car to our facilities without charging you a dime. We make the car selling process simple and fast. Once you call us, we will assign a professional appraiser to you who will come to you to negotiate a fair price for your vehicle. This will eliminate the need for you to undergo lengthy negotiations with choosy buyers who may ask many questions and request you to upgrade the vehicle before they can consider buying. We have dealt with thousands of customers and provide a ready market for people who would like to sell their cars. In addition, we are honest and transparent in all our dealings. This is one of the factors that makes us stand out from the competition. You could face many problems if you do not transfer liability of a vehicle after a sale. We will handle all relevant paperwork and forms so that we can free you from the liability of the vehicle you just sold to us. Hanging on to your old car with hopes of fixing it to its previous working condition may not be a great idea, especially if the car has significant damages. We provide free quotes and estimates on all types of vehicles so that you can know the exact value of your vehicle. We pride ourselves in doing business with the highest levels of integrity. We always offer the best possible cash payment for your car. Our staff is competent and has extensive knowledge of cars and their value. When you work with us, you get recommendations from professionals who have been in the business for a long time and know the true value of your vehicle. We will help you earn money by getting rid of your old car in an eco-friendly manner. We will reuse the scrap metal and minimize global waste. We provide environmental- friendly car removal services and minimize the amount of waste in landfills. We use the latest car disposal or recycling techniques. In addition, we are expert car wreckers with experience and knowledge in disassembling cars, trucks, SUV, or any other type of vehicle. We have the best car disposal system and provide cash for what may probably end up being considered as waste. Selling your unwanted car is not just good for your pockets, but it is also good for the environment. According to the Alliance of Automobile Manufacturers, cars are the number one recycled product in the U.S. In addition, auto recycling employs more than 140,000 people in more than 6,000 locations in the United States. This means that cash for junk cars actually contributes to the economy in many ways. Although there are many payment options for selling your car privately, you risk being defrauded. You may be paid with a bogus check and then two months down the line, the check bounces and your bank charges your account. Cash payments may not be free from problems either. Whether you transact in a public or private place, you may not be sure if you will get home safely with the cash in your pocket. A personal check may not work for you because you are probably not ready to accept credit cards. If you trade your car to us, we transfer the money directly into your bank account. With us, you will not have to worry about bouncing checks or fraudulent payments. The value of most used vehicles depreciates with use. Selling your car on your own may take 30 to 60 days. This means that the longer you stay with your car waiting for an interested buyer, the more the value of the car depreciates. In the end, you may be forced to sell the car at a fraction of the original sale price due to depreciation. The only cars that do not suffer from depreciation are classic cars which usually gain value with age. But, we don't specialize in purchasing classic cars here. For, classic car sales you might want to contact a classic car buyer in San Diego. These services can often offer top notch prices on old vehicles due to their vast network of buyers. People who decide to sell their cars on their own often have to provide their personal information including their phone numbers and addresses to potential customers. Once someone calls you, your phone number will be saved in their call logs or they might save your number in their phone books. Giving out your personal details to strangers may affect your privacy and even your safety, especially if the deal goes bad. No one likes a visit from a furious buyer. To maintain the privacy and security of your family, call us for fast, convenient, and simple deals. Although this is rare, your prospective buyer could be a thief or a criminal, especially if you are selling a luxury or classic car. You do not have to take risks selling your car privately. We can eliminate all the risks involved with selling a car on your own and still get you the best deal possible. Selling your car to us is a win-win situation. We will fairly and honestly appraise the value of your car and pay you on the spot once you agree to a sale. Do away with unpredictable strangers visiting your home or business place. Maintain your privacy and the safety of your home and family. We attribute our business’s success to our excellent customer service and great deals. Our appraisers will come to your location in name tagged uniforms, conduct themselves in a professional manner, and negotiate the best deal for both of us. We undertake background checks and random drug screening for all our employees so that you deal with qualified and licensed professionals. Why do you have to hassle from one car dealer to another looking for the best price for your car? Save yourself the stress and trade your car to us. We will come to a place of your convenience, see the car, finalize the deal, and pick the car right away. This will save you the time, money, and energy involved in driving around looking for a better deal. We buy cars, trucks, and SUVs of any year, make, or model. Call us today to schedule an appointment and discover the benefits of selling your car with us.